The Guys, and Gals over at Toologics are giving away a free Milwaukee M-Spector. Maybe they were inspired by our Bosch PS40-2 Impactor contest . 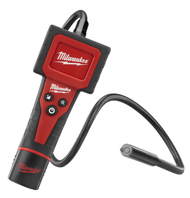 Enter at here » CONTEST: Win a Milwaukee M-Spector on Us! After you win, be sure to review it here.